Strategy development and execution is a complex and multi-faceted task. Even with the help of StratNavApp, it can seem daunting. In it, I distil what I believe are the absolutely essential steps and considerations for developing and executing a business strategy which creates real value, rather that one that sits on the shelf collecting dust. The eBook uses the same language, constructs, process and underlying thinking as we've used in the app, making it easier than ever to develop and execute better strategies more effectively. You can get a copy for free when you sign up to our quarterly newsletter - why not do it right now?! 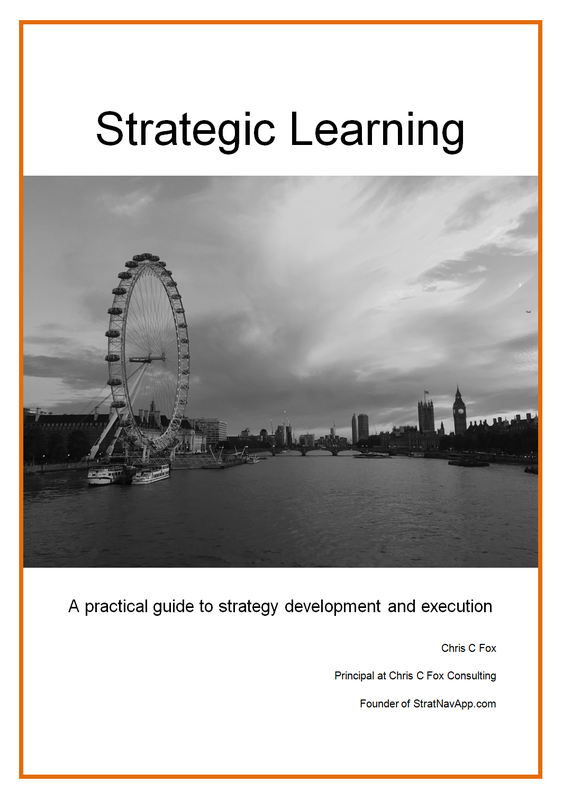 Don't forget to have a look at our sister blog, StrategicCoffee for more insights into strategy development and execution.